By arranging frequently used characters under the phonetic element they have in common, rather than only under their radical, the Dictionary encourages the student to link characters according to their phonetic. The system of cross-referencing then allows the student to find easily all the characters in the dictionary which have the same phonetic element, thus helping to fix in the memory the link between a character and its sound and meaning. 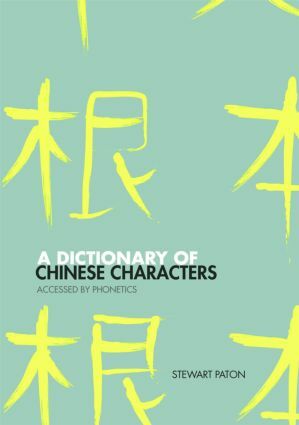 This innovative resource will be an excellent study-aid for students with a basic grasp of Chinese, whether they are studying with a teacher or learning on their own.